Do I need to worry about spices and seasonings containing gluten? This is a question I get asked often. Individual herbs and spices typically are gluten free, however, there has been talk that some manufacturers add flour to stretch out the spices and also concerns of cross-contamination. Since the last time I updated this list (about a year ago), there have been SO many changes! 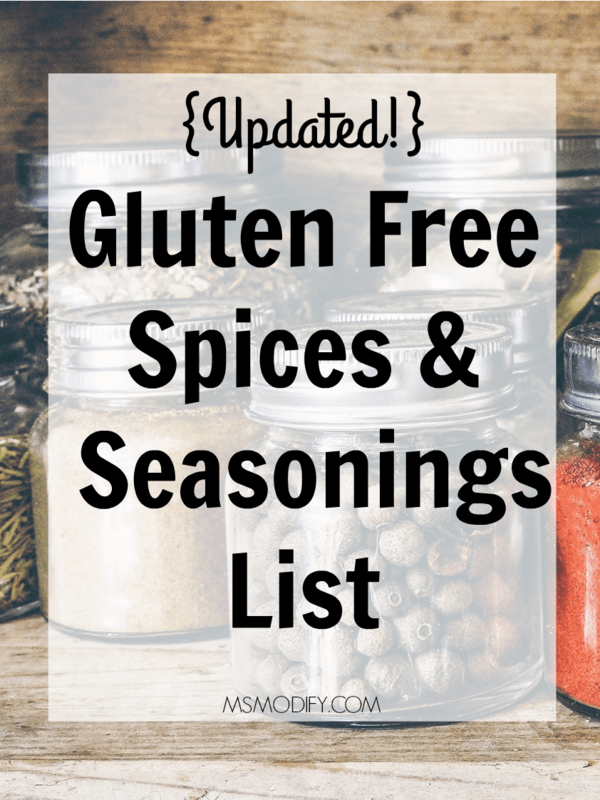 Last time I created this list for you many of the companies provided me with specific spices that were gluten free… well… this time that was NOT the case! As you will see below, most companies provided me with a statement rather than a list. “We have not analyzed our Durkee products for gluten content and it is possible the ingredients in these products may have come into contact with gluten-containing products prior to manufacturing. Moreover, the product may be manufactured on the same lines as products that contain gluten. I’ve seen many people test single spices from Simply Organic with the Nima Sensor and they came back as “gluten found”. Although the Nima isn’t a guarantee, I would recommend proceeding with caution with these spices and herbs unless they’re certified gluten free. “McCormick® will always declare gluten ingredients on our label in the ingredients statement. Gluten is listed as “wheat”, “barley”, “rye”, “oats”, “spelt”, “triticale”, “kamut” or any protein containing part thereof and hybridized strains of these grains in our ingredient statements. This labeling policy adheres to the Food Allergen Labeling and Consumer Protection Act (FALCPA). Gluten will never be hidden under the notations of “spices” or “natural flavors”. If no ingredient statement appears on the product label, then the product is as it appears in the product name (e.g. black pepper). All our retail Extracts and Food Colors are formulated without gluten. Our McCormick facilities have allergen, sanitation, and hygiene programs in place. Our employees follow good manufacturing practices and are trained in the importance of correct labeling and the necessity of performing thorough equipment clean-up and change over procedures to minimize cross-contact of ingredients. Since McCormick is the parent company for Lawry’s, they have the same statement regarding gluten. Please see their statement for McCormick. B&G Foods, Inc is the parent company for Tone’s, so they provided me with the same statement. Please see their statement for Durkee. B&G Foods, Inc is the parent company for Spice Island, so they provided me with the same statement. Please see their statement for Durkee. B&G Foods, Inc is the parent company for Weber, so they provided me with the same statement. Please see their statement for Durkee. B&G Foods, Inc is the parent company for Mrs.Dash, so they provided me with the same statement. Please see their statement for Durkee. If you are unsure of a product, please contact the company directly! *This list is for the US. If you’re in another country, please contact the manufacturer first. This entry was posted in Products and tagged Gluten Free List, Product list, spices & seasonings. Ha! I hope… wish so too! 🙂 Thanks for thinking that! I’m not familiar with that brand, thanks for letting me know! I will for sure check it out and add them to my list! Thank you for the link. However, why do they have an asterisk next to Gluten Free*? Does that mean not all their spices are Gluten Free? All the bottles spices are gluten free. The dips on the website are not. Such a great list! It’s always so tricky knowing what’s gluten free and what’s not! I remember one of the weirdest “I can’t believe it has gluten” finds was sea salt! I was at a restaurant and about to put salt on my food when I saw “may contain gluten” on the side. Thank goodness they’d left it in the brand’s container and not put it in something else, haha! Sea salt?! Wow I would have never thought! Yeah, you’re lucky they left it in the container! Good lesson to learn that we can never put our guard down! I was told that I could not have Anything with with Garlic or Onion????? Because of your celiac?? I have never heard that! What was the reasoning behind that? Thank you so much for this help site. I use a lot of spices and have a shelf full of Tones from before B&G purchased them. I didn’t realized they had been taken over and bought the pink salt, still unopened, I will return it. Kroger’s site says their various brand single spices are GF and they are reasonably priced. Some other spices I have are Badia and Fiesta. When I bought them they were GF, but I’m afraid to buy without researching because they may change their facility, be bought by another company…. so frustrating for Celiacs. Again, thank you. You did a great job with this list. 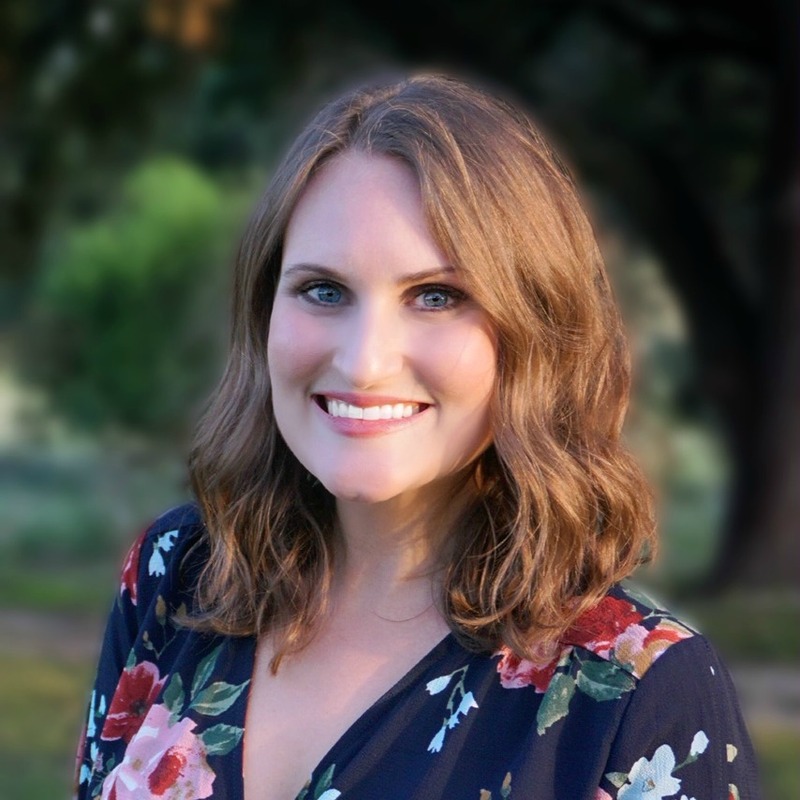 Thank you so much for creating this site, especial those of us with Celiac. You are a treasure. I have many Tones spices purchased before B&G acquired them and when I went to verify a new product, pink salt, I found out they were no longer GF. I have some Badia, Fiesta and Kroger GF spices and at the time of purchase, they all said they were GF. Adams says they will disclose when their spices are not GF. It is frustrating to continually have to check. Thanks again for this great list that I have copied to use in the supermarket. Thank you so much for your kind words! I know, it’s very frustrating for me as well when trying to figure out if something is gluten free or if they’ve changed it. Someone recently suggested Badia to me and said they’re certified GF, but warned many contain MSG. I will look into those! Spicely Organics is the brand I trust and is what is in my spice cabinet! Tony Chachere Says it may contain wheat and I called the one 800-number on the back and they said there’s no gluten and no MSG. What do you think about this company do you believe that is gluten-free? I haven’t used this particular brand, so I’m not very familiar with it. Does it say “may contain wheat” on the label? If so, I personally wouldn’t be comfortable using it. I have not been diagnosed with celiacs disease but seem to react to gluten. I am going gluten free, now. I was gluten free several years and regret going back on gluten. I have wondered in the past why I reacted so strongly, everytime to Tonys. My brother and dad won’t stop using it even though they know it makes me sick. Hi Lilla, I recommend you contact the company directly! I am staying with McCormick. They show they care about safety. First thank you for your research and nice list. Second, I’d like to comment on a comment. Be careful thinking a company cares about your safety. McCormick isn’t certified gluten free. I’ve been a faithful McCormick spice user for the past 5 years. That’s going to change after finding I’ve been reacting to the their chili powder that I recently purchased this past month. Nima tested positive. And I’m not the only one. Multiple individuals have have been reporting the same results on Nina tested site.